With a voice that stood like a monument against the landscape of 20th century pop, Whitney Houston conquered every worldly ambition, yet succumbed in the end to the deep and personal wounds to her soul. 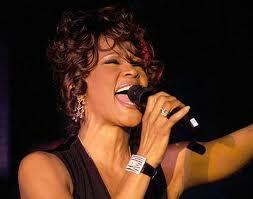 Whitney was born at 8:55 PM on August 9, 1963, in Newark, New Jersey, to a middle-class family. Her father was an Army serviceman and entertainment executive, her mother a gospel singer. Dionne Warwick was her aunt, Aretha Franklin her godmother. She was raised a Baptist and at the age of 11 began to perform as a gospel singer. Note: Ascendant and all planetary positions are displayed with reference to the sidereal zodiac, as per Jyotish (Vedic astrology) tradition. She has several prominent yogas in her chart: two raja (power) yogas with lagnesh (ascendant lord) Saturn opposing 4th and 9th lord Venus; another with Saturn and 7th lord Sun; yet another with 7th lord Sun and 9th lord Venus; a Chandra-Mangala (wealth) yoga between Moon and Mars, and a powerful Kesari (popularity) yoga with Moon and Jupiter. She began singing backup at age 14 and, thanks to her natural beauty, also started working as a fashion model at age 17, breaking the color barrier on many magazine covers of the day. When she was 20 she attracted the attention of Clive Davis and was signed to Arista Records. Whitney’s chart reveals a powerful 2nd house, which governs family, wealth and voice. Jupiter is doubly strong in the 2nd, being in its own sign Pisces, and retrograde (bright). It is fortified by a bright Moon. Jupiter aspects both the 10th house and the 10th lord Mars. 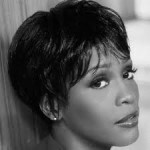 When her debut album Whitney Houston was released, its songs scored three #1 Billboard hits, making it the best-selling debut album by a female artist. Ultimately, she became the most awarded female act of all time: two Emmys, six Grammys, 30 Billboard awards, 22 American Music awards, for a total of 415 awards in her lifetime. 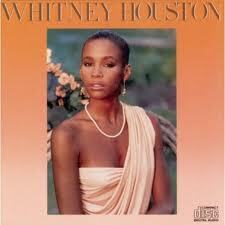 With her debut in February 1985 Whitney was running Venus dasa (major period), Mars bhukti (minor period). Mars gave results of its nakshatra dispositor Moon, granting her significant public appreciation. But when the bhukti shifted to Rahu, giving results of its sign dispositor Mercury in the 7th house, and nakshatra dispositor Jupiter in the 2nd house, the acclaim became official. Nominated for three Grammys in 1986, she won for Best Pop Vocal Performance. She won seven American Music Awards in 1986-87. At the 1988 Grammys, her followup album Whitney received two nominations and scored yet another win for Best Female Pop Vocal Performance. 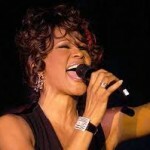 “The Voice”, as Whitney was sometimes called, was a mezzo-soprano whose range spanned two-and-a-half octaves, sometimes belting it out to almost three. Considered a pop diva, there was virtually no one – Celine Dion, Mariah Carey, nor Barbra Streisand – who could rival the fluidity and purity of her tone. 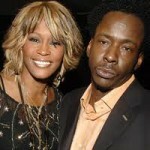 Relationships, principally with husband Bobby Brown, were a source of pain for Whitney. Every indicator for relationship is influenced by a dussthana (destructive) house. Her 7th house lord Sun is in the 6th, a dussthana, while the 7th is occupied by the lord of the 8th, also a dussthana. Venus the karaka (significator) of love is also in the 6th. Whitney’s 2nd house is aspected by two malefics – a strong Saturn (retrograde in its own sign) from the 12th house, and Mars from the 8th. The 2nd house also represents nourishment – food, drink, medications, etc – and the influence of malefics from dussthana houses reminds us that not everything ingested is good for us. An afflicted 2nd house suggests substance abuse, something Whitney admitted in later years. 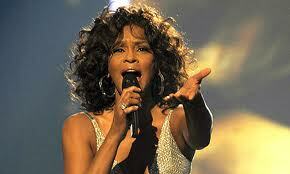 Whitney was a humanitarian, as befits her sensitive Moon with powerful Jupiter in Pisces. She supported Nelson Mandela and the anti-apartheid movement. She formed a foundation to raise funds for children around the world, was a spokesperson for youth leadership, and made large donations to the American Red Cross. Parallel with her stellar recording career, she received multiple movie offers, and starred in The Bodyguard, Waiting to Exhale, and The Preachers’ Wife, all of which received popular acclaim and made her at the time the highest earning African American actress in Hollywood. She enjoyed stellar success throughout most of her Venus dasa: Rahu bhukti 1985-88, Jupiter 1988-91, Saturn 1991-94, Mercury 1994-97. Saturn bhukti (giving results of nakshatra dispositor, 10th lord Mars) was particularly potent, with The Bodyguard soundtrack album selling a million copies during Christmas week of 1992, racking up 17x platinum sales, the best female showing in the world’s Top Ten best-selling albums. In the 1994 Grammys, the album won three awards. Things began to unravel in her Sun dasa. The Sun is her 7th lord, ruling relationships both personal and public. Sitting in the 6th house, it is afflicted by its powerful enemy Saturn, a dussthana lord in its own sign, the 12th house of self-undoing. She started being late for interviews, photo shoots and rehearsals. She cancelled concerts and talk-show appearances. Rumors of drug abuse with Bobby Brown began to circulate. Although she signed a mammoth $100M contract in 2001, troubles continued to mount. Her father died, she lost weight, and she was embroiled in lawsuits. Things went from bad to worse in Moon dasa. Bobby Brown starred in his own reality show with equal air time for Whitney, albeit in less-than-flattering circumstances. The Hollywood Reporter called it “the most disgusting series ever to ooze its way onto television.” After Whitney said she wouldn’t continue for a second season, the show was cancelled. Houston and Brown separated in September 2006 during her Moon dasa, Rahu bhukti, initiating child custody and spousal support lawsuits. Moon is lord of the 6th house (undoing of marriage, and litigation) and gives results of nakshatra lord Mercury in the 7th house. Rahu gives results of its sign dispositor Mercury in the 7th house, and its nakshatra dispositor Jupiter in the 2nd, which is 8th (death) from the 7th house of marriage. 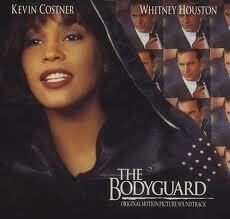 Whitney Houston was found dead on February 11, 2012, in a suite of the Beverly Hilton Hotel, submerged in a bathtub. She was running Moon dasa, Ketu bhukti. 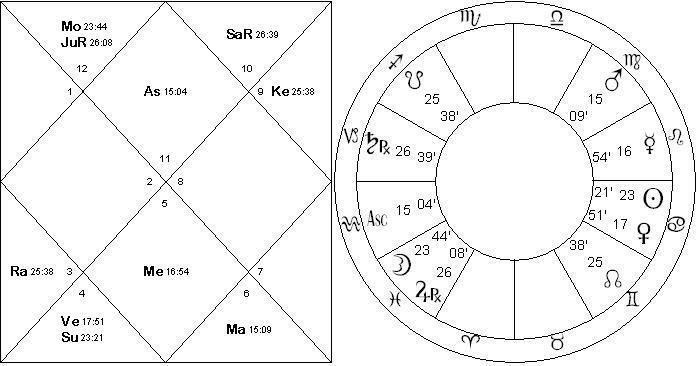 Ketu gives results of planets aspecting it (Mars in the 8th house), sign dispositor (Jupiter as strong maraka, or death indicator in the 2nd house), and nakshatra dispositor Venus in the 6th house. Transiting Sun was conjunct her natal Saturn in the 12th house. Transiting Moon was conjunct her natal Mars in the 8th house. The voice that had warmed the hearts of millions with songs like I Will Always Love You was now silent.